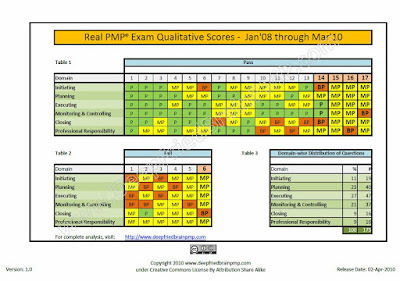 PMP Passing Score analysis based on PMP results of real PMP candidates (Part 2): Let me start by asking you a question. How much do you know about the passing score on the PMP exam? So far, we have heard rumors and unconfirmed information about what the passing score is. This is the second article in the series of articles on the PMP Passing Score. In this article, I’m going to share the best kept secret of the PMP exam. In fact, as I was compiling the PMP results data for this post, I was surprised looking at the results myself. I’m really excited to share this information with you today. I guarantee that you are going to love this post. Are you curious to know more? Of course you are. So let’s get to the point now. If you have read the previous two articles of this series, you understand that 61% is not the passing score for the PMP exam. You also know that starting Jan 2008, PMI moved to a qualitative scoring system. It means that they no longer provide a numeric score for the exam, and rather give you a proficiency level (Above Target, Target, Below Target, Needs Improvement) for each domain. Therefore, many PMP aspirants want to know the proficiency levels that equate to a “pass” result on the PMP exam. Disclaimer: Please use the information in this post at your own discretion. I claim no responsibility of the accuracy of the data or the interpretation of it. In order to find the answer, I started collecting the qualitative passing scores from the PMP result reports of several successful and unsuccessful candidates through various sources. I narrowed the results down to unique scores. The resulting data brought out some very interesting and important details about the PMP exam passing score. Click on the image below to see a set of 23 unique exam results. Before I delve further, let me put forth some basic facts. Table 1 provides the PMP exam results of successful candidates. Table 2 provides the PMP results of unsuccessful candidates. Table 3 shows the domain-wise distribution of 175 questions on the exam. Overall score matters. You can have any combination of Proficient (P), Moderately Proficient (MP) and Below Proficient (BP) scores across the 6 domains, and still pass (or fail) the exam. What matters is the overall score. If your overall score is above a certain percentage (which may vary for each exam), you will pass the exam. Refer to the results in Table 1 (Pass). You'll find various combinations of P, MP and BP scores there. You can be BP in one, two or more domains and still pass the exam (though I've not seen anyone pass the exam with three BP scores). The overall score, as mentioned in point 1, matters. Refer to columns 14-17 in Table 1 for confirmation. If you score MP in all domains, you'll pass. Refer to column 15 in Table 1. If you score MP in five domains and BP in one, you may still pass. For example, if you score on the higher end of MP in those five domains, and barely slip below BP level on one domain, you may still achieve the overall passing score, and hence pass. Refer to columns 16 and 17 in Table 1. In contrast to the above point, even if you score P in one or two domains, you may fail. For example, if you score P in 2 low-weightage domains (like Closing and Professional Responsibility) and score well poorly in a high-weightage domain (like Executing), you may slip below the overall passing score, and hence fail. Refer to column 2 in Table 2. The data seems to indicate that the qualitative score on any particular domain does not determine the final PMP result (pass/fail). What is important is the average score across all six domains. I hope this article helps settle some (unwanted) anxiety that you may be facing about the PMP exam passing score and allows you to focus your effort on the preparation. Do let me know what you think of this article. If you like it, share it with your friends and colleagues who may benefit from it. So focus should be put on being P in high weightage domains. One question : are the scores between the 3 P, MP and BP grades published ? If this is what you want to know, then the answer is 'no'. But, I do have some information where you could convert your qualitative scores into quantitative scores using a model developed by Dr. PDG. I'll be posting an article on that model very soon. Yes, that's what I responded to in my previous comment. That percentage is not known, but I'll share some info on Dr. PDG's model, that will give you some "close enough" numbers. When I prepared for the exam, with only little time available, I did focus on the high-priority process groups (Ex-M&C-Pl) because that's how you collect most of the points, and the knowledge areas are far more structured than in Initiating and Closing, or in Professional Ethics. I ended up scoring P in the big three, MP in Closing and Ethics, and BP in Initiating--and passed. So, my study strategy (full-time job, toddler, family sick with flu, self sick with flu, etc.) has paid off. Can only recommend. For that purpose, Kim Heldman's book worked really well. I agree with Charlotte's comment about focusing diligently on (and understanding thoroughly)the main three Performance Domains as those have the highest percentages of questions on the exam. My passing was MP, P, P, P, MP, BP - with my three strongest scores in the main Performance Domains, followed by the next lowest scores and the final lowest scores in each remaining Performance Domain respectively. While I do believe PMP aspirants should be well rounded in all aspects of Project Management, when it comes to a exams, I am all for knowing exactly what you are dealing with. Understanding the facts and structure of an examination and what will be expected, I believe, can only make one more successful in passing. I recently observed : 3 cases identical ranking- BP in Planning and MP in all the other 5 processes- all 3 took the exam in Feb- March period. Two out of 3 (including me in the 2) passed but one could not make it. The unlucky one may be in the same range as us but could be at the lower end of the range bracket. We do not know the cutoff or range bracket. PMP aspirants should focus on doing the best and not worry about this ranking and cut-off. The test centers nearby are all full for the date I want (May 10th). My plan will be to continue to check the website to get the location and date I want. In the meantime, do I schedule my exam at a nearby center for a later date, or schedule an exam at an exam center father away on May 10th? I passed the exam with 2 BP's in closing and social resp, and P in only 1, Executing and MP in all others. Go figure. Congrats for passing your exam and sharing your result. It makes sense to me. The 2 domains where you got BP are low weightage domains. So, your overall score did not suffer much. A friend has passed the exam with 2 BP (closing and monitoring) and the rest with MP. I have passed with 2 BPs (Executing and M&C) and all other were MP. Congratulations. Great to hear that you passed. You may have scored toward the high end of MP band and barely slipped into BP in 2 domains. Thanks for sharing your result. Good luck. I appeared in PMP exam in Dec mid, 2012. Got 2 BP ( Planning & Executing ) and 3 MP ( Initiation, Monitoring and Controling, Closing). With 2 BP and 3 MP I failed. Sorry to hear about your result. With 2BP, chances of passing are quite low unless your scores are at the higher end of MP range for the other 3 domains. My friend has got score of 2X MP and 3XBP and he passed the PMP .. how it could be? Check whether his name is actually listed in PMI Registry. i failed with the same results. How he can pass when I have failed with the same?! That make not sense. I actually got my exam yesterday!! There's no Professional Responsability anymore! It's included within all the other domains! I still have a question: How do you explain the result in the column 6 of the fail table? This person only got 1 BP in low weightage domain! I think None should go to the Exam having BP, MP or P in mind. Assume to have around 106/175 questions i.e around 61% for the pass. But then consider you have 200 question & the 25 questions not included for evaluations are mixed & UN-identifiable. So add these to the 106 to minimize your risk. So AIM for 131/200, & your probability of passing would be really high. Note: its clearly mentioned in the RESULTS sheet of the exam that the "Results(PASS/FAIL) are based on the number of questions answered correctly". So please target on the Number of Questions you will be able to answer correctly. Aim for at least 131~140 minimum (i.e. around 66~70%). All the best to everyone preparing for the exams. Please relax, have peace, try to understand the concepts rather than learning by-heart. Have confidence, & you are sure to PASS. I passed the exam today with 3 MP (Planning, Monitoring, & Closing) and 2 BP (Initiation and Executing). I was very surprised, but Im not going to complain! How is the higher end of range is calculated? Is it the number of correct questions out of the total questions in that domain? I have been given to understand by more than one PMP instructor that one has to score right in 106 questions out of the 175, excluding the 25 test questions. Passed PMP with 4 MP and 1 BP. I failed the 5th edition PMP exam today with: 4 MP's and 1 BP. The BP was in INITIATING of all things!! Since the Initiating Process only accounts for 10-15% of the total exam questions; HOW ON EARTH COULD I HAVE FAILED THE OVERALL EXAM, when I clearly achieved passing levels on the other 4 Process Phases, which account for 85% of the total questions???????? It is completely senseless & seemingly mathematically IMPOSSIBLE for exam failure, based on my percentage of process phase proficiency?!?! I am NOT a happy bunny right now.........I KNOW I ACHIEVED AN OVERALL PASSING SCORE TODAY; based on my above mentioned proficiency levels in the most critical & voluminous sections of process knowledge grades. BUT-PMI won't share "cumulative" scores & I've heard from muliple sources that the "Exam Appeals" process at PMI results in absolutely NO changes. I'm simply furious & frustrated right now........with NO WAY to challenge or change the outcome, which I am CERTAIN IS WRONG!!! I failed yesterday WITH 4 mp/1 bp!!!! The bp was in initiating, the least weighted domain. I'm frustrated & annoyed beyond belief. HOW can initiating "supposedly" weighted on the lowest end of the spectrum (10% or less of all questions), keep me from achieving a passing score; when I was at mp for: planning, executing, m & c and closing (90 of the test questions). Can someone PLEASE explain that math/logic to me?????? I'm still in a state of disbelief & shock!! I would be very disappointed, frustrated and annoyed too if I were in your position. Unless you did so badly in Initiating that it weighed your overall score below the passing line, it's hard to believe that you would fail with 4 MPs. Having said that, mathematically speaking, it's not impossible. Initiating has 13% or 26 questions (including pretest questions) on the exam. If you scored really low in Initiating and only marginally above MP in other domains, then it could bring your overall score below the passing score. I don't think you'll get too far with PMI's Appeal process, but if I were in your position, I'll give it a shot. Unless your eligibility date is too close, there's nothing to lose. I don't know what else could I say to make you feel better. Try to get over it as soon as possible. It's not the worst thing to have happened to someone. It's just an exam. If you didn't pass it this time, you'll pass it next time. Use your experience from the first attempt to pass it comfortably in the second. Why all this crying? Study hard, pass exam, job done. So easy! I passed the exam with 3 MP's(I,P,C) and 2BP's(E,M&C) on May 15th. What could the math be here? The two sections I scored BP's are the max numbered questions. If I am BP on them, then how will this have given e an overall count of marks to get a pass percentage? Considering I am MP and not P in the rest three. I wouldn't complain though. I just need the certificate and I got it. :) In real time I will have the time and resources to make the right decision. Also, I did the exam preparation in a month from start to finish. Started with listening to the IT Online chapter wise course that qualified towards the 36hrs of class work. I read only PMBOK edition 4 once and then a week before the date, I read PMBOK edition 5 once every page had some more in the appendix section below to finish but didn't have time. Did some 1500 sample questions available free online with varying degree of difficulty; those included at least two 200 questions tests a day the last 4 days. This prepared me to sit through the 4hrs exam effortlessly. Started with 6hrs a day the first week, increased to 8hrs a day the second week, 9-10hrs a day third week and 11-12hrs fourth week. The last day I stopped studying by 4pm and went out for a long walk and relaxed chit chatted with friends and slept early. Took an early morning am test when my mind is fresh, alert and less stressed. My practice tests started with 50+ % scoring in the second week, then inc to upper end of 60+ by the end of 3rd week and 70 plus to finally 80 plus something in the last three days. These tests included even the 15 to 30 questions short ones. I was confident of getting P in a few based on my home scores. As the tiem neared, I was picking up on the preparation and certainly felt I needed another week to hone up my skills and cover more of material that were there. I was really hard on time with the hours mentioned minus the time I took to cook eat and take relax timeouts. Passed the PMP exam this afternoon. Though I passed and I am certainly glad with that, I was surprised that I did not get any "P"score , and furthermore shocked that I got a BP score in Executing. Pretty scary considering I felt confident all the way to the end, thought I had most questions nailed down! Still though, happy to have passed! Congratulations on passing the exam. Thanks for sharing your experience. Quite interesting indeed! I got 3BP and 2MP but still passed. But the 2 MPs I got are for the 2 biggest knowledge areas - Executing and Monitoring/Control. That means these 2 domains carries a lot more weight than other 3. I also might have hit the high ceiling on the MP score range just enough for me to get an overall passing score. Just a thought. Passed with 3 Proficient, and 2 Moderately Proficient. Proficient in Initiating, Planning, Executing. MP in M&C and Closing. I gave the exam today, and scored BP in Planning and Executing and MP in Initiating, Planning and closing. The result is Fail. Sorry to hear that. I guess had you scored an MP in one of those two BP areas, you would have sailed across. You are not too far. Don't lose hope. PMP Examination Report is Fail. Sorry to hear that. Without knowing your experience, educational background and approach for preparation, it’s hard to give any recommendation. Please share all the information in detail with me on the forum PM Hangout and I’ll try my best to help. You can use a pseudoname for your post if you do not wish to remain anonymous. Don’t lose hope. Tho the exam changed in Jan 2016, the theory stated here still seems sound. I took the exam in Jan 2016 (before the change), and failed with 4 BPs and a MP in Closing. It was rough. Basically, I started all over with my studies. Took the exam the second time in March 2016. Very different exam questions (big pool of questions after all). Passed with 4 MPs and a BP in Closing (which I found ironic). P.S. Get Rita's PMP prep book. Congratulations! Thanks for sharing your experience. Good to hear such success stories. If you get a chance, please share your detailed lessons learned. Someone sent me a link to this site today and I'm so pleased they did. I failed last September MP(IPC) and BP (E M). I have over 12 years experience as PM, have Prince2, APMP, am full MAMP - how could I fail? I had done a lot of work over several months, taken at least 4 * 200Q test exams and got in high 70%'s so felt reasonably confident. So upset when I failed, I swore I would never look at it again. But, I'm having another go at end of May. I've been stressing because I was told I need to get 80% in ALL domain areas so this post has really helped calm me down. First time round I didn't read the PMBOK fully, have done so now. I am also taking time off to do final revision, also a lesson learnt from last time. I had already figured that P, E and M were the ones to concentrate on, so that's what I'm doing now. Thank you, thank you, for this advice! Thanks for your comments. Glad you found this post useful. Good luck for the second attempt. Let me know if you have any help with your exam prep. That's indeed very strange! Probably the first such case I've come to know of. It might be worth checking with PMI customer care and taking their advise before filing a formal appeal. If you are moderately proficient or proficient in all the domains, then there's no good reason to fail you. Otherwise, they should adjust their proficiency level scale. Do keep me posted on the updates. Good luck. I'm very happy for you. Thanks for sharing the news. Did not touch my PMBOK. Study books: Rita and Head First PMP. Went in without doing any practice tests. 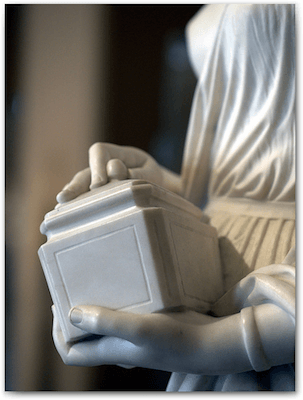 Read material/activities in book for 4 weeks for 2-3/hrs a day. I just passed with P in all five knowledge areas! And I have no big time PM experience or title or whatever, I just lead small-ish scope stuff as part of my regular job. So the exam is not so much about experience and technical know-how as it is about knowing the concepts and processes. Lots of the questions--well over half--on my exam were situational, "W and X have already happened, you know Y, you were just told Z, what should you do?" or "you did A and B and found C, what process did you use?" type questions. The exam was actually harder than I expected, but it turns out my study method had prepared me for those. But I marked a lot of questions and used all four hours of exam time. I highly recommend the RMC (Rita) book or a similar "concepts" type study guide. It took me about 65 hours of study time to get through the book (including a couple of reviews of high-level concepts, as recommended in the book), beginning six weeks before the exam. I barely looked at the PMBOK Guide but it was helpful for clearing up a few confusing things. The math/formula questions were quite basic I thought, beta distribution and simple variance/PI (CV, SV, CPI, SPI). None of that crazier stuff. I was surprised at how many questions there were about quality processes and chart types and such. I'm very glad I spent review time on those. Lastly, my RMC and PMBOK books are from 2013 (when I intended to take the exam a couple years ago). I don't even know what the recent changes and updates are for the exam, but they didn't seem to have much impact. Congratulations on passing the exam! Thanks for sharing your experience and insight. I agree on the recommendation for RMC (Rita). About questions of type "you did A and B and found C, what process did you use? ", I don't think these count as situational questions. These type of questions are just testing the knowledge of the terminology defined by PMI. They are not a test of a good project manager. Do you think that the Failing result is accurate? It doesn't seem to make sense since there was only one BP which in Closing which only makes up 7% of the exam. Sorry to hear that, Grant. As mentioned in point #1 in the post above, the overall score matters. You might have missed the passing line by just 1 or 2 marks. I just PASS the PMP with 3 MP (Ini., Plan., Clos.) and 2 BP (Exe., M&C). Great Relief. My take on this is that there is nothing more to dig as it's clearly said in the Certificate that PASS/FAIL is just based on overall score. You can make to overall score by being in higher end of BP/MP or lower end of P/MP or you may FAIL with P/MP may be being at lower end and overall below threshold. Congratulations! You are right that overall score matters. It has been the case all these years. I just passed with a P in Initiating, MP in Planning, and BP in the others. Interesting result. Thanks for sharing. I took my PMP exam last month and I must say it was pretty verbose and demanding exam. As interesting it may seem, I scored MP in Initiating, Planning and MonitoringControlling, but a BP in Executing and Closing. I failed my exam, but I am not going to loose hope. I will give it a shot 2nd time. Sorry to hear that. It's a tricky exam. Use your first experience to scale the wall in the second attempt. Good luck! I sat today for the exam and had the same exact breakdown and passed!!! However I had a LOT of executing questions and a good number of closing. I think your batch of questions plays a part too. I was surprised I didn't do better in planning but I felt good about that part so maybe I was on the cusp of p and mp and that helped?? Idk I'm just happy it's over!!! Congratulations, Conni. Thanks for sharing your result and experience. I took the PMP 3 times. First time was on Oct 22 2016, I got 1 Moderately Proficient (Planning) and the other 4 were all Below Proficient. I failed. Second time was on Oct 29 2016, I got 2 Moderately Proficient (Monitoring/Controlling and Closing). The other 3 were all Below Proficient. I failed. Third time was on Nov 27 2016, I got 3 Moderately Proficient (Initiating, Monitoring/Controlling and Closing). The other 2 were all Below Proficient. I passed. From what I heard and what I seen as an experienced PMP test taker (took it 3 friggin times), I can tell you that they made the PMP exam a lot harder but made the passing rate easier to achieve. I knew all the terms and processes but almost all questions were situational. Just back from my first attempt to take PMP exam. I got only 1 BP on Executing and MP in rest.... 80% question are situational, minimal mount of calculation, scheduling tasks and about of knowledge quality super hero names. I decide to send appeal for the resuts, as it so situational and result is best answer may be I have a chance to turn situation on my side. Thanks for sharing your experience. Please update with the outcome of your appeal. Good luck! That's unfortunate. Appeal? You can try, but I'm not too sure because I haven't heard about any successful appeals. RPG got a pass result with three BP at Initiation, Planning and Closing. Two MP at Executing and M&C. This is not the first time to take the exam. Which is your analysis. Wow .. that seems really close, but not impossible. If your 3 BP scores are barely below the MP mark, you can still have your total score above the passing mark. Thanks for sharing, and enjoy your success. I have taken the PMP exam and got BP(I,P,E) and MP (M&C, C). Can someone let me know by how many marks did I miss the pass result? Hi Venky4321, did you pass or fail? PMI doesn't disclose the passing marks, so there's no point guessing. I passed today on the first attempt with 2 BP (MC & CL) and 3 MP (IN, PL & EX) ! Congratulations, PMP! :) Thanks for your contribution to this thread. Sorry to hear that. As has been discussed above, it's the total score that seems to matter more than domain-wise proficiency. Don't give up. Give it another shot after some more preparation. Congratulations! Thanks for sharing your results. It's interesting because you failed with BP in E, C, and passed with BP in P and E (E is weighed more than C). Again goes to show that total score is the key. Passed yesterday with 3MP(I,P,E) 2BP(M&C,CL)! Congratulations, and thanks for sharing your result. I can totally relate. It took me 3 times as well before I finally passed it (like they say the 3rd time is a charm). I'm a horrible test taker, but still was feeling inadequate for not being able to pass by the 2nd attempt. I first took the exam on 6/3/17, and scored 2 MP (Initiating & Planning) and 3 BPs on the rest for an overall FAIL. I was very disappointed because I studied so hard, actually went through the PMBOK front and back, watched the training videos, understood all the basic concepts, and spent many sleepless nights studying for such a poor result. I took the exam again on 6/20, I rewatched a few of the online training videos, and took a few practice exams. Still failed, but my results were better 3 MPs (Initiating, Planning, Closing) and 2 BPs. I felt like I might have just missed the mark on a couple of questions, but I didn't give up. My last day of eligibility to take the exam was 6/27, and for that week, I did nothing but take practice exams. The result, I got 1 P (Initiating) and 4 the rest MPs with an overall PASS. I thought maybe PMI just felt sorry for me, and just gave me a courtesy pass or severely lowered the bar, but I can guarantee you PMI wouldn't do such a thing, so don't sell yourself short. I do agree that it felt like each time I took the exam, it did get harder (I was more confident the second time I took the exam than the 3rd), but also the questions I had each round of taking the exam just felt like variations of the same questions or out right recycled questions. My recommendation for PMP candidates is once you understand the concepts, do nothing but take the PMP practice exams and use multiple sites. Once again to Harwinder's point, you might have been on the high end of the MP range, and just under the MP line for the 2 BPs so it is quite conceivable that your overall exam result is a PASS. Once again, be proud of you passing (I know I am). As my supervisor told me after I passed (who is also a PMP), your certificate does not say PMP - Moderately/Below Proficient or you will never write on your resume PMP, barely passed...you are a PMP. Your post is a gem and a great motivator for anyone who has failed the PMP exam and feeling gloomy about the prospects of passing it. Thanks a lot for sharing your story, and BTW, congratulations on getting those precious 3 letters behind your name! Passed the PMP exam with 1P, 3MP and 1BP(Initiation) on 12 JUL its been 10 days still the registry not updated neither received any mail from PMI the printed copy from the test center is the only proof, how bad at least online transactions such as congratulations acknowledgement email(just the way we get receipt after payment) from PMI, soft copy download from PMI website could have been little fast if not instantaneous. Congratulations for passing the exam. I can understand the frustration. Usually it’s not that slow, but I agree that in these times of automation, it shouldn’t be that hard to send an instant email notification after you pass the exam. It’s been almost a month since you posted the comment. Hope it’s sorted by now.